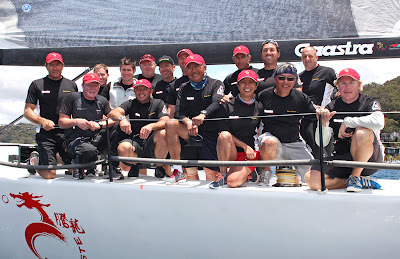 Karl Kwok’s Team Beau Geste dominated Cougar II on the final day of the Premier Composite Technologies Australian TP52 Southern Cross Cup to win not only the three-day Pittwater regatta, hosted by the Royal Prince Alfred Yacht Club at Newport, Sydney but the series. 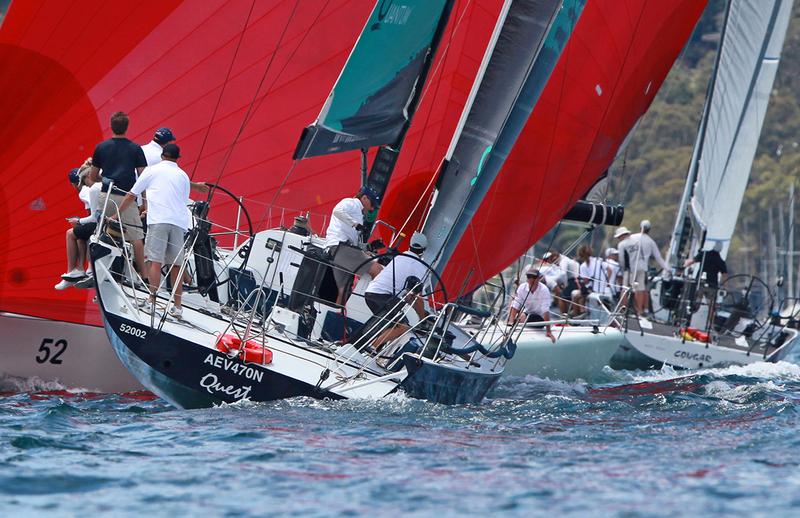 With Shogun V out of the game after losing her rig during the first upwind leg of Race 4 the previous day, Kiwi helmsman Gavin Brady was not taking no chances. 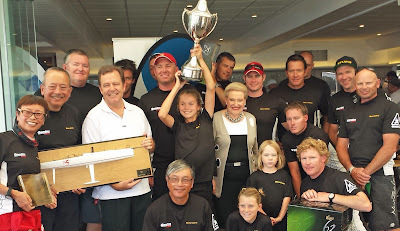 The 52-footer was stacked to the rafters with some of the hottest sailing talent around including helmsman Gavin Brady, Jamie Gale, Emirates Team New Zealand America's Cup grinders Chris Ward and James Dagg, as well as Volvo Ocean sailors Rob Salthouse, Tony 'Trae' Rae, Phil Jameson and Mike Sanderson. 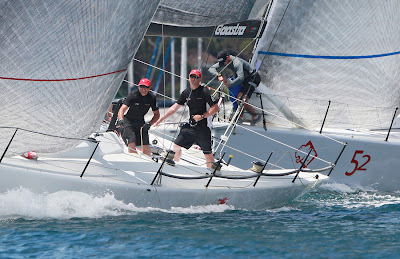 Today’s three bullets and a first, second and third on IRC handicap tallied with their five previous results gave Beau Geste a grand total of 15 points for the Premier Composite Technologies TP52 regatta, six points clear of Tony Lyall’s Cougar II (TAS) in second. 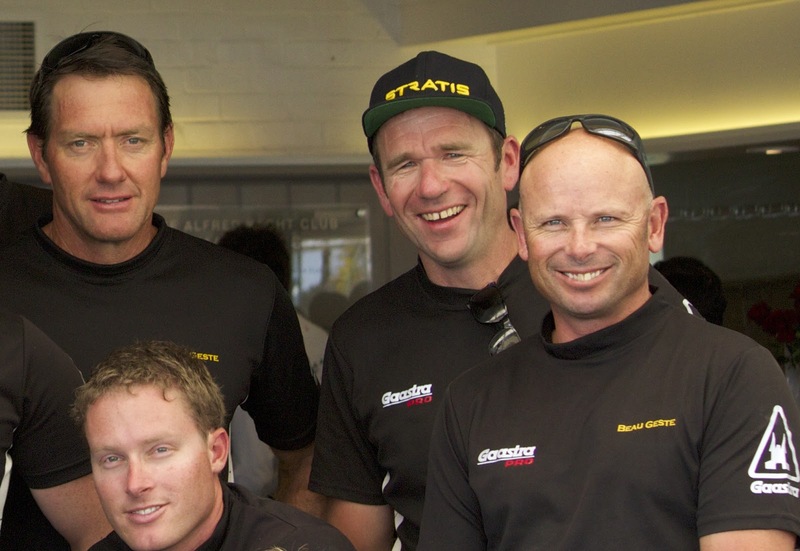 Beau Geste also won the round on PHS. 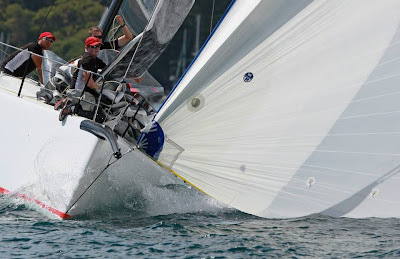 James Dagg, who trimmed the jib and gennaker onboard Beau Geste during the regatta, was impressed with Pittwater, which he said reminded him a little of Marlborough Sound in New Zealand's South Island. "This is the first time I have sailed here and it is a fantastic venue with good breeze. I'm a but rusty on a monohull but it's just like getting back on the bike. 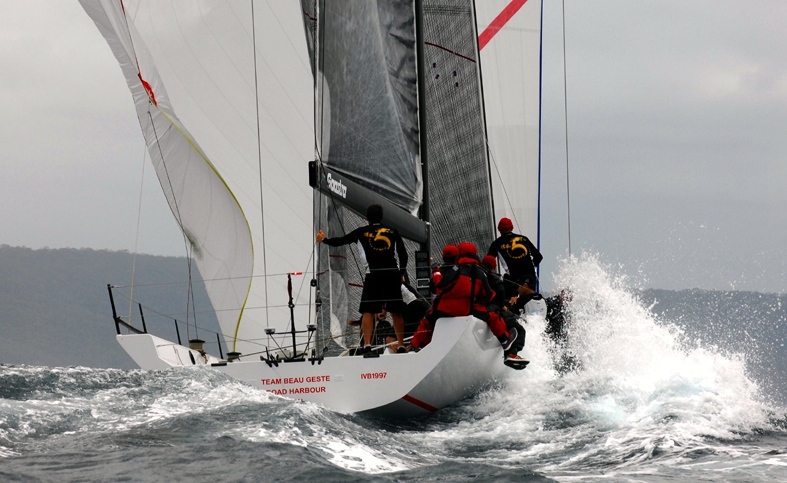 The offshore racing was pretty tight but we managed to make the most of the lumpier conditions and Saturday was a good day for us and we didn't have any shockers." 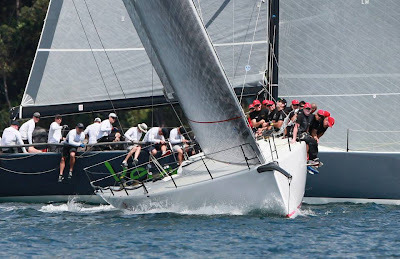 Bob Steel’s Quest (NSW), with Jamie MacPhail on the wheel and Kiwi America’s Cup sailor Ed Smyth calling tactics today, finished third in the round. 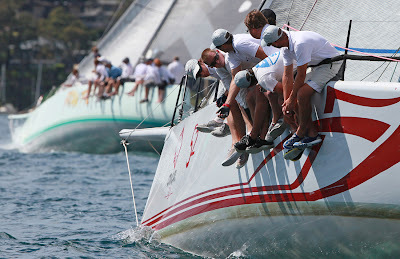 They lost a protest for a mark infringement during the eighth race of the day and copped a disqualification from that race that cost them second place overall. 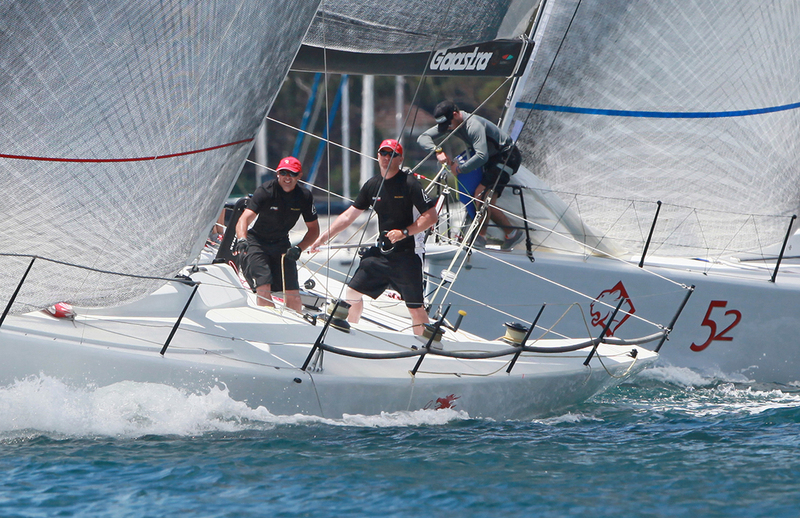 Cougar II picked up two IRC handicap wins and Quest one. The rest belonged to Beau Geste who coolly and methodically picked their victim then pinned them by the wings. Rob Hanna’s Shogun V (VIC) finished second on IRC overall in the Cup, despite being unable to compete in the remaining races of Round 4 four after dismasting in heavy seas off Barrenjoey Headland on Saturday during Race 4. Cougar II finished third overall in the IRC results and also won the PHS division.